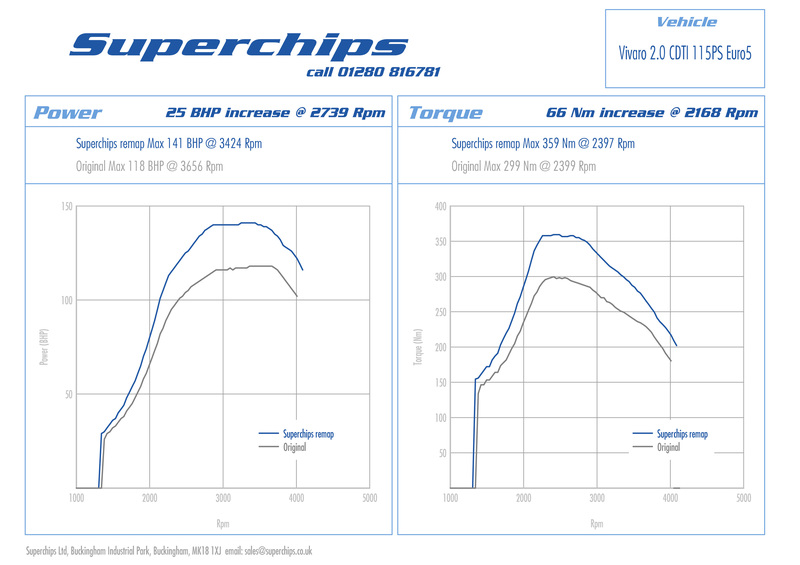 Superchips Ltd, the world’s leader in high performance automotive electronic tuning, is pleased to announce that its popular ECU remaps for key 203PS (200bhp) 2.0-litre Ecoboost petrol turbo models of Galaxy, Mondeo and S-Max are now available on the firm’s Bluefin ‘Plug-in and go’ DIY programming handset. This announcement means that the extra power, torque and responsiveness of a Superchips remap can now be enjoyed by 2.0-litre Ford Ecoboost Galaxy, Mondeo and S-Max owners in minutes and at the touch of a button, all without even lifting the car’s bonnet – anytime, anywhere. Vauxhall Vivaro 2.0 CDTi (115PS) Euro5 van drivers can now enjoy the optimized drive delivered by a Superchips remap, which combines impressive power, torque and fuel economy gains for the popular small van. The Buckingham based electronics experts have generated a new map for the 115PS Vivaro 2.0 CDTi’s Bosch EDC17 ECU, which boosts power by 25bhp at 2739rpm and torque of 66Nm at 2168rpm. These excellent gains means that the Vivaro driver can enjoy effortless overtaking, greater engine flexibility and fewer gearchanges than before, plus up to 7% better fuel economy if driven in a ‘like for like’ manner.